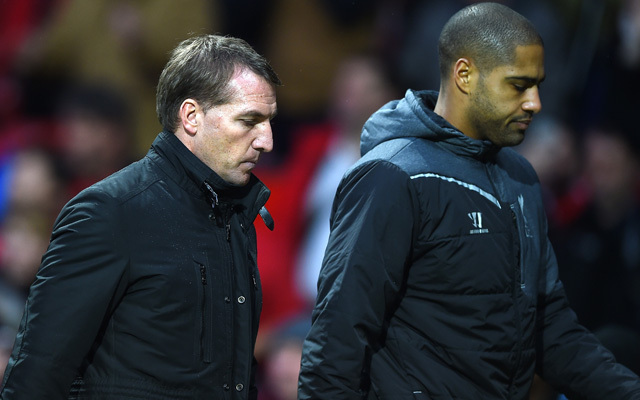 Former Liverpool right-back Glen Johnson has explained his reaction to Brendan Rodgers’ infamous ‘three names in the envelope’ speech – which was first shown on the documentary Being Liverpool. The Englishman, now retired, was speaking on the True Geordie podcast and explained that he often found the Northern Irishman a little cringeworthy. “There is that bit of it (confidence bordering on arrogance). And it stems from when he was the understudy for Mourinho at Chelsea,” he said. “I remember I was looking around like ‘is he f*****g serious?,” Johnson continued, following the infamous envelope incident. “And you could bet your bottom dollar all those envelopes were empty. “After that it was a ‘trying to get a reaction’ sort-of speech. Rodgers has now taken charge of Leicester City, having done a superb job north of the border with Celtic for almost three seasons. Brendan has a way for dropping toe-curling soundbites, but he’s actually a good guy and a good manager. He may have had the help of Luis Suarez, but he got us to within inches of Premier League title glory in 2013/14 and it shouldn’t be forgotten. We hope he does well at Leicester and harbour no hard feelings towards him. His exit had to happen when it did, and he dealt with it like a gentleman.